UK gold & black Parlophone, MONO issue, mega rare 1st pressing with original cover having "Photo: Angus McBean" at 3mm from the right opening side. Nice copy, ask for mor pics! UK gold & black Parlophone, MONO issue, mega rare 1st pressing with original cover having "Photo: Angus McBean" at 3mm from the right opening side. Stong vg+ play tested copy, ask for mor pics! UK original MONO on Track with poste/insert, nice cover and super clean disc!! USA original banana cover, STEREO V6-5008 no torso back cover issue, super clean copy, peealable banana intact, withe cover with only a hint of browning of top of inner gatefold, perfect spine and super clean ex+ vinyl!! Great German only mod beat band from 1967. Vert small and neat deletion hole, otherwise great copy with fantastic vinyl! UK original Track, very 1st press, with blue text on inner gatefold and A/D B/C coupled discs! Nice copy with a strong vg++ cover and clean vg++ discs with some light hairlines but no serious issues at all! All times krautprog monster, great copy!! USA original acid psych hard masterpiece on Probe. Cover is a strong ex, disc only shows a couple of hairline that does not effect play, play tested sound ex++!!! Complete with small poster. UK folk absolute masterpiece on CBS. One non-sounding scuff on the B-side and one bump on top left corner, otherwise great copy! UK gatefold original on red CBS label, complete with mega rare POSTER!! Fantastic copy!!! UK original folk masterpiece on CBS. Small name on one label, super clean disc! Germany original on Harvest with mega rare insert!! UK original on Island, very clean cover and super clean disc!! Great Copy!! British gatefold swirl Vertigo original, great copy!!! German only gatefold pink Island WITH POSTER! FANTASTIC COPY, disc is MINT or M-, poster is perfect and unused, cover is ex+! GREAT!! 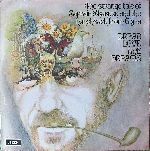 Gatefold swirl Vertigo original, hard to find with such a nice cover! USA original on Tower, top quality psychedelia, cover is a great full vg+, disc looks vg+, minor light marks here and there, plays wonderfully ex with a crisp and super fuzz sound! Mega rare USA original very first press on gold/tan Elektra label!!! A must for any Doors collector!! Dutch classic psichedelic garage masterpiece! Original on Negram, disc is in incredible shape! UK original on Dandelion, melodic progressive masterpiece. GREAT COPY! Cover only has a hint of ring wear, spine is perfect. Disc only has a TINY mark at the beginning of the B-side that causes 6-7 clicks on the intro to the first song (no real music...but you have these clicks) The rest is full MINT-!! Italian original classic progressive rock! Perfect copy! Mega rare 1975 last album, including rare insert and mega rare outer plastic bag. Disc is vg+ but all the copies are like this since were damaged by the contact with the plastic outer for 40 years. Germany original, mega rare laminated cover complete with insert. Comes with rare insert!! Legendary pre-Deep Purple italian only single, sung in Italian. Japan original with insert and mega rare "NOW" shaped OBI!! Red labels promo!! Discs are in fantastic m- conditions!! Fantastic progressive hardrock on Canadian London !! Very rare ! AMAZING Canadian raw freak garage sound! Original issue, white label promo!! All times great German trippy krautprog. Original multifold cover. Disc is MINT- except for last minute of B-side that is ex. Fantastic progressive rock gem! German pressing on Youngblood, great copy!! 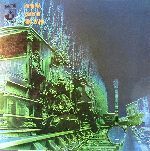 Germany original with special plastic cover, debut LP, amazing kraut/progrock with Inga Rumpf on Vocals. Disc is mint-! UK original gatefold on Ember. Fantastic, underrated, obscure progressive rock! Beautiful copy, ex+ vinyl!! Italian gatefold original on Grog. Germany only original, one and only 10" album on wine red Decca label! Nice copy!! Great German progressive rock.Original issue on CBS S 65007, fantastic copy! UK MONO original on Track!! Nice copy, cover has the one or two usual lamination wrinkles, spine is vg++ (intact, some wear on lettering) disc is a very clean ex or even ex+! UK original gatefold on Neon! Classic jazzy britishprog! Nice copy! UK original gatefold, red "big E" Elektra label with silver print, great copy!! UK original pre-EMI Harvest gatefold with advertising inner. UK original red vinyl complete with very rare silver laminated insert. Legendary british 60's psichedelia! UK original on pre-EMI Harvest. laminated flipback cover denotes very 1st pressing. Great copy! 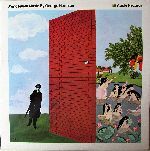 Germany original, another great classic progressive rock LP on Pilz! 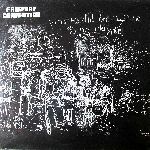 German original on Polydor, one of the best ever krautprog LP's ever in my opinion. First pressing with no Polydor logo on bottom right! Great copy! UK original gatefold pink Island, nice copy. UK original unboxed Decca label with insert! Not mint but still great copy! USA original stereo on Internation Artists, cover still in shrink, disc very clean!! 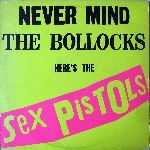 UK original 1967 picture sleeve. Mega rare post-Artwoods only single featuring Deep Purple's Jon Lord on keyboards. 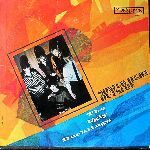 Rare Japan Nippon Grammophone 1st press with unique gatefold cover!! Vinyls plays vg+ with light background noise. Germany original on Harvest, amazing bluesrock, very clean disc. Original german issue, much cheaper than the british one. UK original on B&C. First "no guitar - organ only" mix! Very rare! Very fragile, thin, unlaminated cover is full ex and disc is in the clean region between ex+ and mint-!! Rare MONO issue! Clean cover has one super small bolt on upper left (deletion hole?) Disc is a clean one, a few spots does not affect playback! Nice one! Rare TMOQ double live 2LP, insert stickered on back, blue & red vinyls. Rare studio outtakes + live recordings. UK original on Pye, great progressive rock, amazing Roger Dean cover. One small restored tear on back. USA original on red Etiquette label. Classic primitive garage rock! Disc has visible scuffs but plays great! UK original on Decca Nova. Nice copy looks ex+, has some background noise on B side and very moderate noise on A side. UK original unboxed Decca with custom inner and POSTER! UK original, great underrated psichedelia. One tear on cover (see pics) otherwise nice, disc is a clean ex. UK original blue Liberty label 1st press, great copy!! Mega rare Czeckoslovakian 1991 official 3 picture discs set, complete set very hard to find. Italian original, rarer stock copy! UK original on pre-EMI Harvest. Gatefold laminated cover, "Barrett excerpt + Joice" on label denotes very 1st pressing. Complete with Harvest advertising inner. Nice copy! Germany original on Philips complete with mega rare poster!! UK original pink "eye" Island label, nice copy, Sandy Denny and Fairports masterpiece! British original 1st pressing red Decca label, very rare flipback cover, nice copy! UK original gatefold swirl Vertigo with inner. A brilliant original dance concert poster from the psychedelic 1960's. Created by Victor Moscoso, one of the big 5 San Francisco poster artists from the Summer of Love 1967 for The Neon Rose series. Artists featured are The Plastic Explosion and The Plague. Performed April 14 & 15, 1967 in San Francisco. Pink border with blue background, pink lettering, and image of George Washington in pink, blue and yellow. 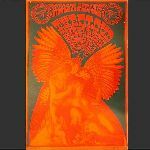 A brilliant original dance concert poster from the psychedelic 1960's. 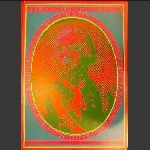 Created by Victor Moscoso, one of the big 5 San Francisco poster artists from the Summer of Love 1967 for The Neon Rose series. Artists featured are the Cloud The Plastic Explosion. Performed 1st of April 1967 in San Francisco. UK original blue Liberty label. Classic debut album, blues prog at its best! Clean copy!! Mega rare iranian (pre 1979 revolution of course) extended play featuring The Doors with both two tracks and picture sleeve. Also includes The Beach Boys and Aphrodite's Child. Water damage on back cover, fascinating Persepolis label with imperial lion tax stamp!!!! Germany original on Decca, amazing progrock, clean disc. Original german issue, much cheaper than the impossible to find british one. Original on Bluebell Records of the best (maybe only) italian rhythm'n'blues band! Great garage sound at its best! Italian gatefold original. Classic italian progrock. No poster. UK original on Pye, flipback cover, great copy!!! British original pink "eye" Island label. 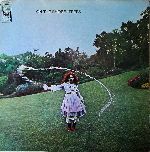 UK original gatefold on Harvest, 1st issue "sold in U.K.", great jugband acustic progressive rock!! UK original on A&M, great israelian hard progressive band! Uk original pink Island, nice copy with clean cover and ex/ex+ disc!! UK original 1st press (large Vertigo logo in titles side) swirl Vertigo. Nice collectable copy at low price! Italian original gatefold on Bla Bla, absolutely nice and clean copy! UK pink Island original, so beautiful copy!! UK original Verve pressing, 1st catalogue number and flipback cover. Great copy!! Original german issue on United Artists complete with mega rare inner with notes. 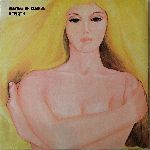 UK original textured cover on RCA. Some hailines, do not affect play. UK original on Decca, great british folk!! Mega rare 12-track UK Virgin original with NO TITLES on pink back cover!! UK original STEREO on Apple SAPCOR 1, fantastic copy complete with mega rare INSERT! !